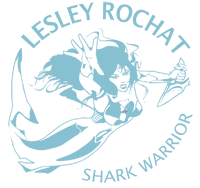 For about six years now I have been working closely with the dynamic ad agency Saatchi & Saatchi, Cape Town. I was introduced to them by the Two Oceans Aquarium and commissioned them to help me change peoples perceptions of sharks for my M-Sea Programme. The result was the award winning RETHINK THE SHARK campaign. 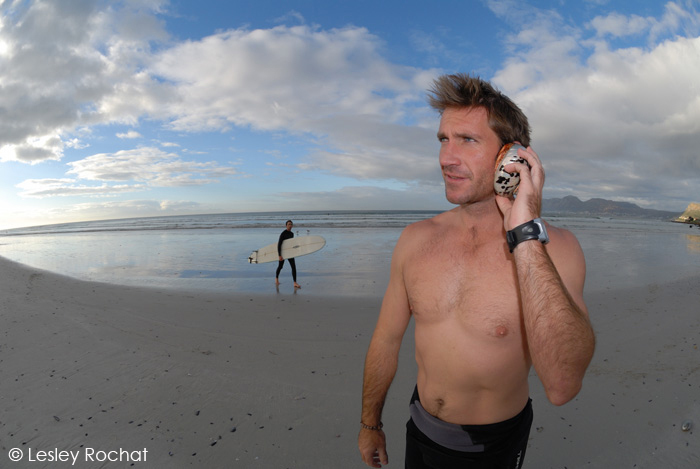 Since then I have continued to work with them in the development of campaigns that help us raise awareness about the plight of our oceans. Not too long ago I presented them with a new challenge, to come up with a campaign for that would educate and create awareness about the plight of our oceans. A couple of meetings and intense discussions on how to approach such a complex topic, fraught with many issues, sparked their creative ingenuity. The result is the OCEANS SPEAK OUT awareness campaign, which literally gives the oceans a voice, something only Saatchi could conjure up! 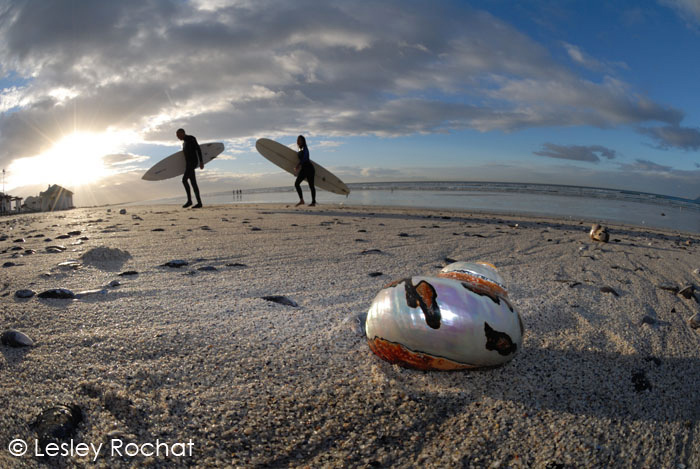 The first element was a number of large shells collected by the team, each fitted with a mini speaker device.Lifting the shell to one’s ear, the listener experienced the voice of the ocean making a direct plea for help and directing them the website. Bright and early this morning we set the shells strategically on the beach and waited for people to find them. I was on stills and Glenn Sieller on video. Tomorrow we are on the beach before the crack of dawn to set up the next element. Go to my gallery to see photos of the whole campaign. 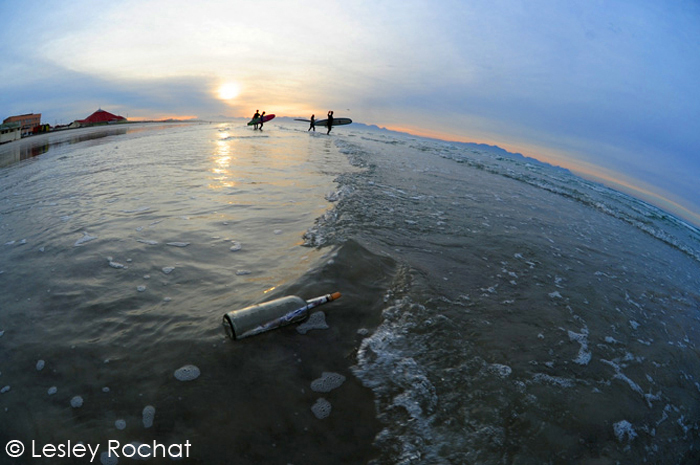 Early morning surfers and a bottle washing onto shore. Saturday: I’m up again before the crack of dawn and on Muizenberg beach. The weather has held as it did yesterday when we did the speaking shells. I need the light for good shots so I’m relieved. Today we are placing the bottles with the messages inside, beautifully hand written by creatures of the ocean such as Greg the Great White Shark, imploring humans to please stop our destructive ways and help save our seas. The shoot is a success, I get the shot. But more importantly the campaign is a success. People pick the bottles up, open them and read the letters…we are getting our message out. People need to become aware and stop living unconsciously as though the plight of the oceans belongs to someone else – it is each one of our problem, and each one of us can make a difference. Go to my photo gallery to see more pix of the campaign. Sunday: It’s the last day of the roll out of the campaign. 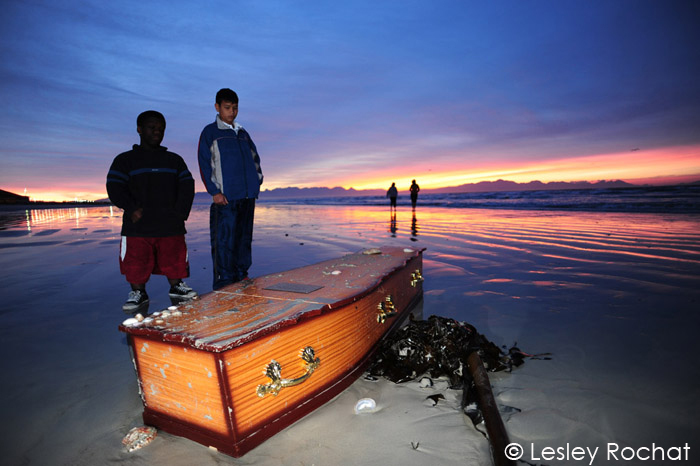 This is the big one, the most unusual one of the three, the coffin ‘washed up’ on the beach. I’m feeling a little tired, had 4 hours sleep, too early for me this but I’m looking forward. The coffin is placed, the sun has not risen yet, there’s a bit of cloud, the sombre scene is set, the sea seems moody and it is no wonder. She simply can’t sustain the negative impact we inflict on her. The plaque on the coffin says it all. ‘Every minute 208 dophins die in fishing nets. Be part of the solution.’ And go to Surface Photo Gallery to see photos of the entire campaign. Tell me what you think of the campaign. The campaign was a huge success and the coffin certainly created a stir with loads of new awareness opportunities secured. Many people were concerned that a coffin had ‘washed up’ on the beach and gathered around curiously. This will be a talking point for some time and that’s what we need, more people becoming aware, talking about the plight of the oceans, and clearly we will do whatever it takes.